Every time I send an application to a clan I like it Denys me for no reason at all and all the open clans are mainly Spanish can anyone help? 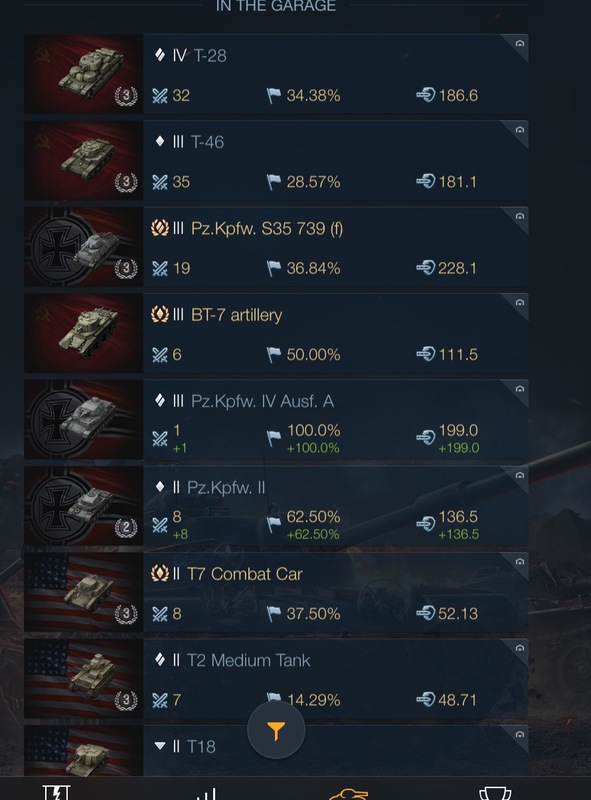 Because you have 136 battles? You probably don't fit the requirements to enter the clan. Edited by Njourour, 12 January 2017 - 02:33 PM. Clans, especially good ones, have requirements to get in. You have a very, very low battle count, so most of the upper clans see that and immediately turn you down. If your stats are bad, that's also another reason they may turn you down. Still, there should be random clans out there that accept anyone. Just don't expect to get into a popular clan until you hit at least 5,000 battles and have higher than a 50% win rate. These aren't the only stats that people look at, but they're some of the first. I mean, NOBODY is good after 136 battles, but you can have a bad WR and still have decent individual stats. But 36% and black in your stats does not point to a tanker most clans want. Watch some bushka, 48tonruckus, lokeen and work on playing better and you'll become less team dependent and clans might want you. Edited by stmaarten1778, 12 January 2017 - 02:17 AM. If you need help, the whole forum here is here to help you. We have veterans and unicums around the NA willing to help you learn and get better. You just have to ask. First off what is a unicum? Basically a pretty good player which has good stats. At first, don't be the first to the fight. Not saying to camp, just be sure you are a little behind the front line. Favor tanks that are mobile, and keep moving, stay behind cover. The best thing you can do is stay alive as long as possible. Just by being alive and getting the reds to expose themselves to try and get to you you can do the most for your team. That t-46!is your best tank, use it, get good at it. Edited by tedg5, 12 January 2017 - 02:24 AM. Ok give him a break. He only has 136 battles. To OP, if you want to join a clan, get more battles and win some games.